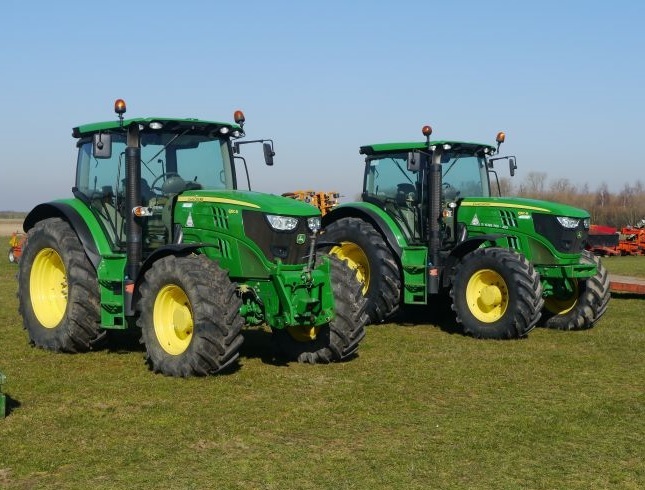 Almost £13m-worth of second-hand machinery was sold across Q1 2019 as sellers look to cash-in ahead of Brexit. Stock levels at second-hand machinery sales increased by 31 per cent in the first quarter of this year, with sales grossing over £5m in March alone. UK auctioneer Cheffins has reported sales of over £12,642,000 in Q1 2019 throughout both Cambridge Machinery Sales at the firm’s site near Ely, and at on-farm auctions across the UK. At the Cambridge Machinery Saleground, gross sales hit £11m in the quarter, showing an uplift of 11 per cent in comparison with Q1 2018, which achieved total sales of £9.9m. Stock levels at the Cambridge Machinery Sales were up 31 per cent in the quarter, compared to Q1 2018, as sellers look to make the most of high prices achieved in the run up to Brexit. In a similar vein, the onsite sales team saw four farm-based auctions in Q1, grossing £2,642,000, with 1628 lots offered in total. Brexit has brought with it a golden touch for second-hand machinery values over the past three years as overseas buyers looked to pick up bargains and make the most of the UK's weakened currency. Bill Pepper, Director at Cheffins said: “Uncertainty over import and export tariffs once we finally do leave the EU has encouraged sellers to cash-in quickly and disperse of machinery in early 2019 as the final Brexit deadline looms large. “The result has been this enormous uplift in stock levels which is purely illustrative of the sentiment we have experienced since the start of this year. “Prices have not grown throughout the first quarter in line with stock, indicating that lower value items have dominated the past three auctions, however sale rates have held firm as the buyer base at the machinery sale continues to broaden,” he said. Mr Pepper said that 2019 so far has seen the return of developing markets, including the likes of Sudan and Afghanistan following relaxation of important restrictions in their domestic markets. “These buyers tend to pick up 1970s and 1980s tractors with values up to around £6,000, however they buy in bulk in order to meet demand back on their home turf,” he added.